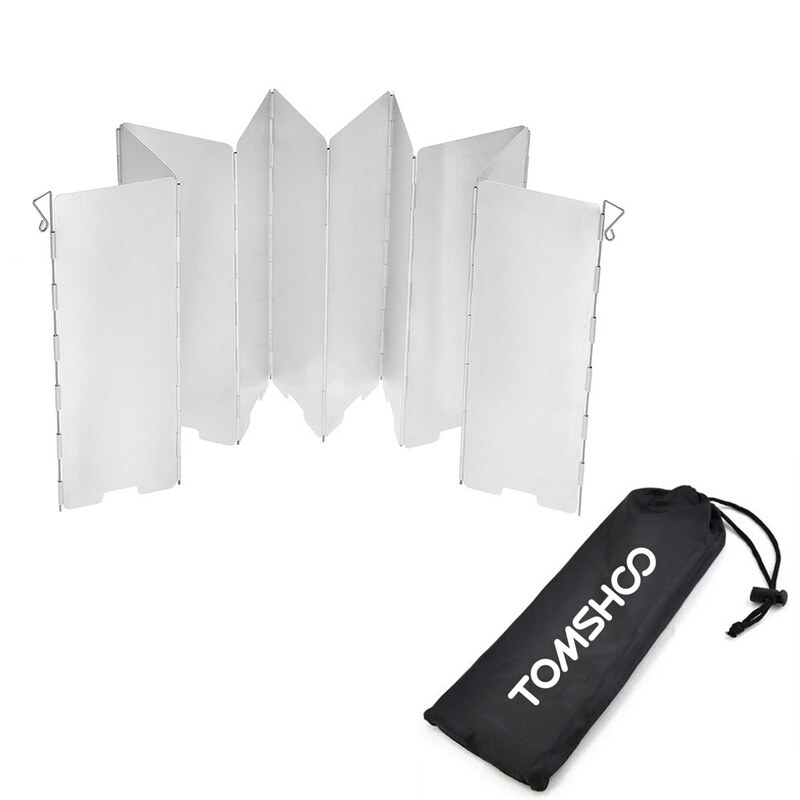 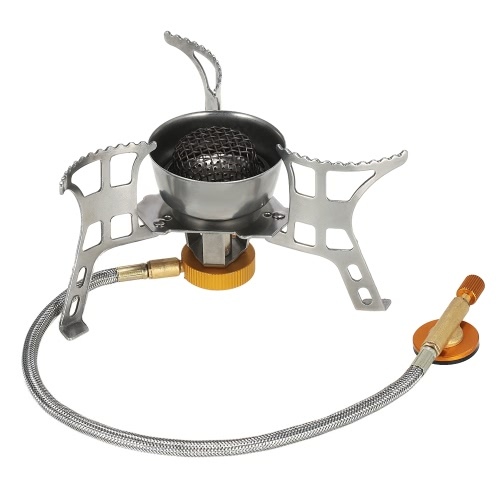 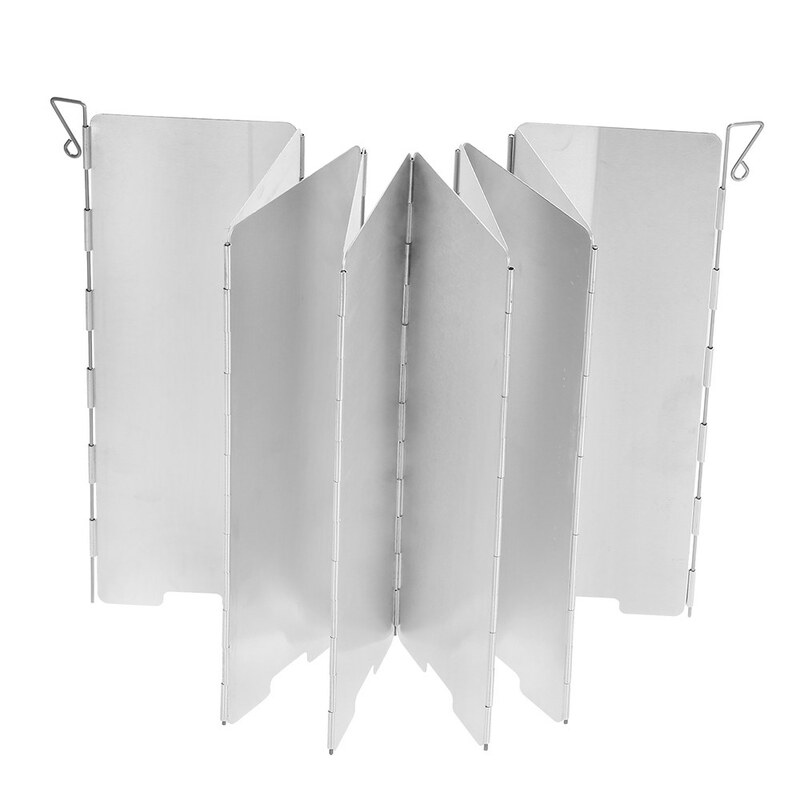 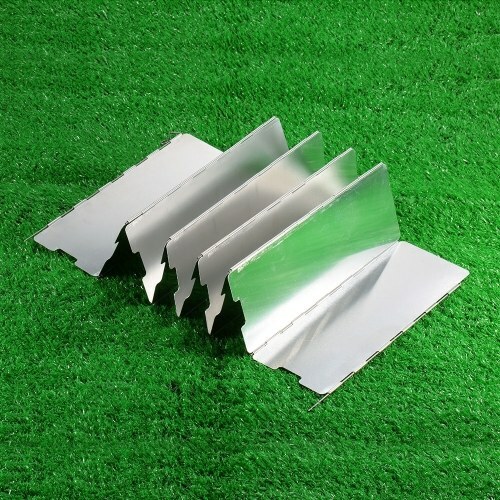 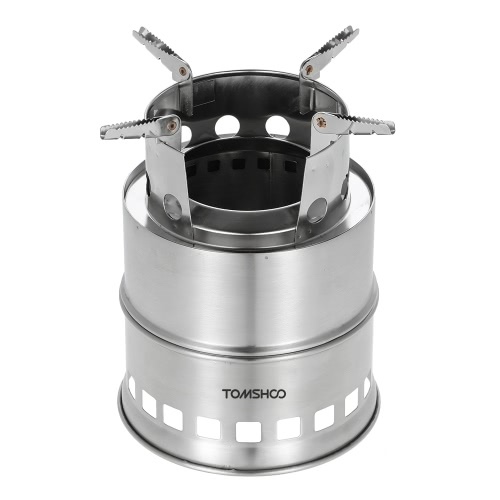 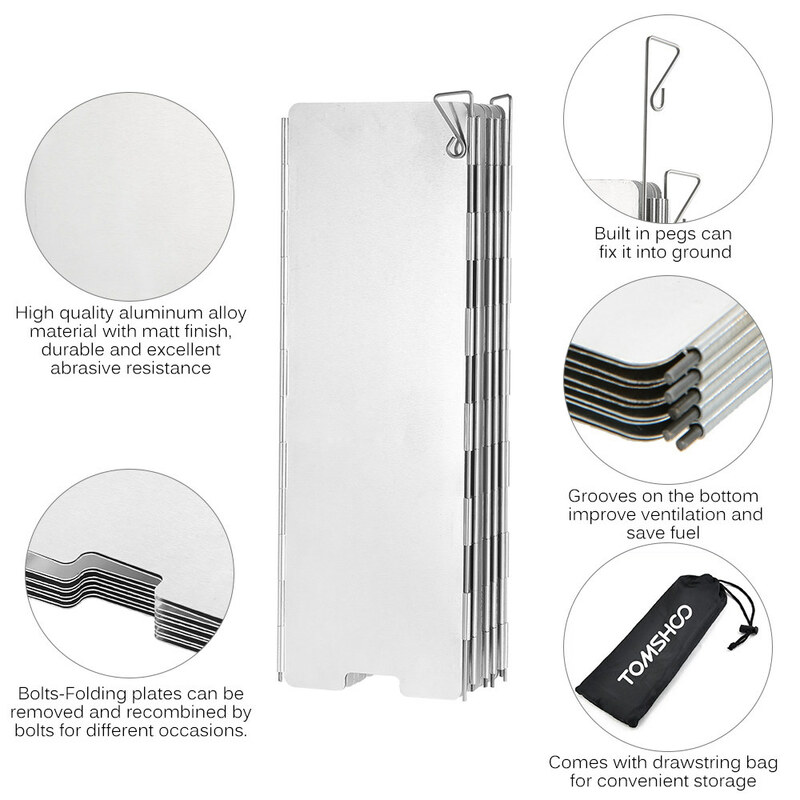 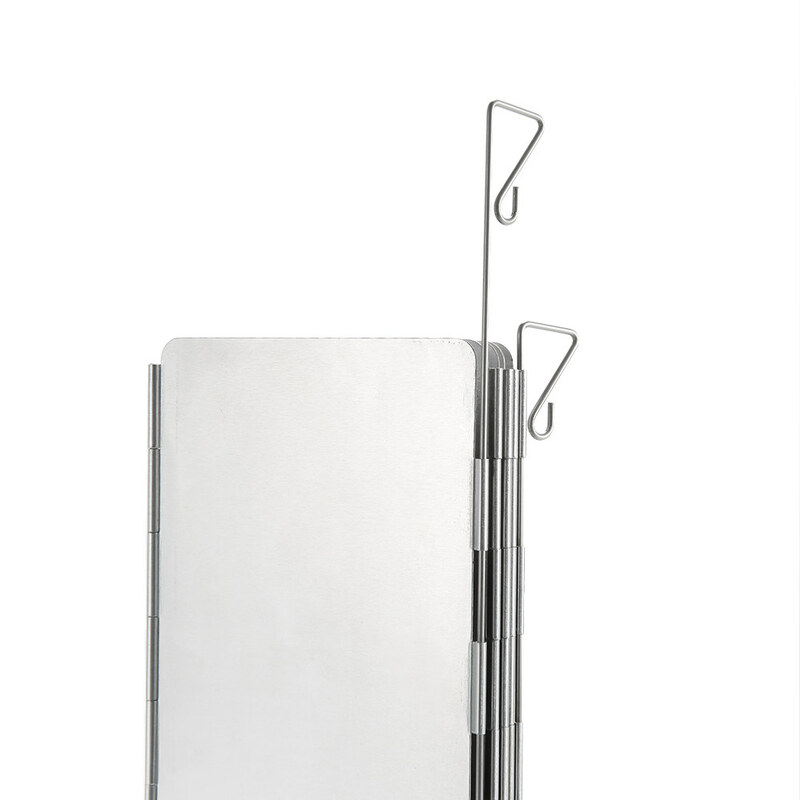 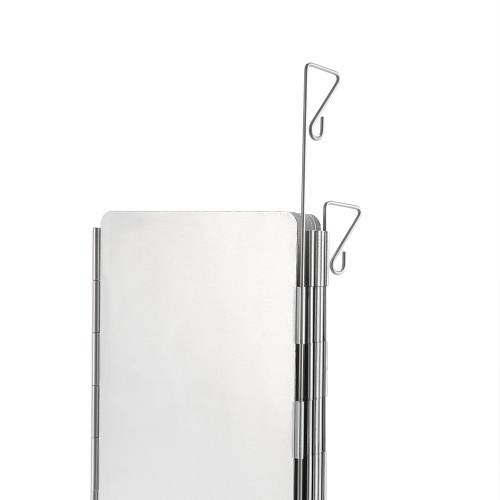 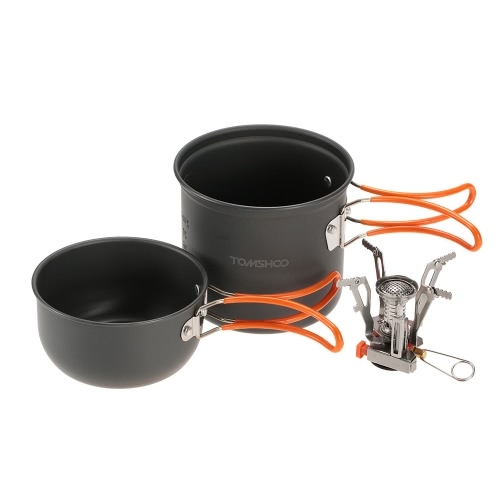 This folding windscreen is a great addition to outdoor cooking with a camp stove. 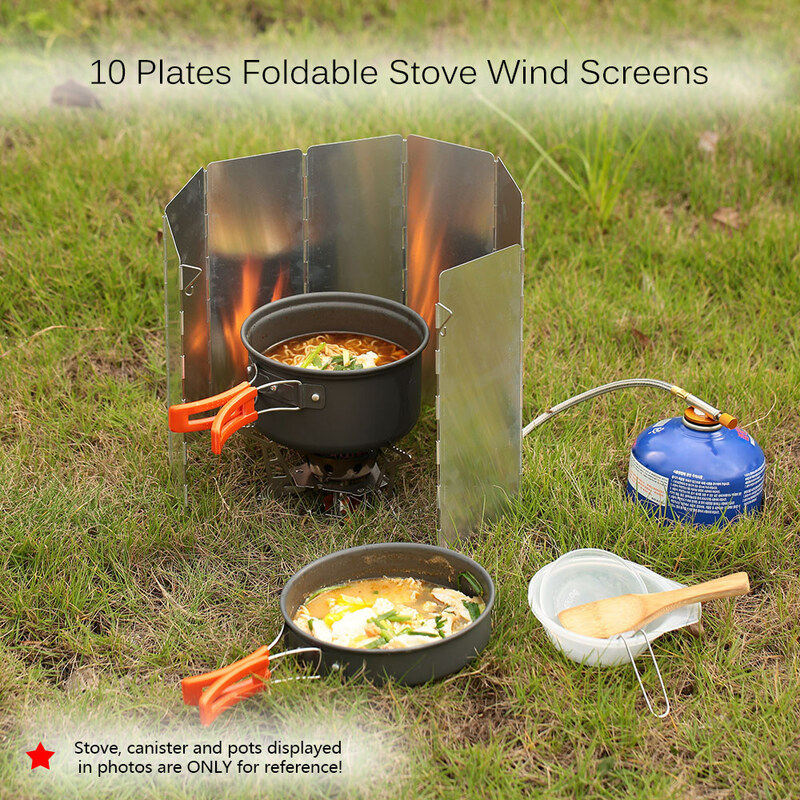 Block the wind for faster cooking and heat retention. You can also use it to help you start a fire in windy conditions. 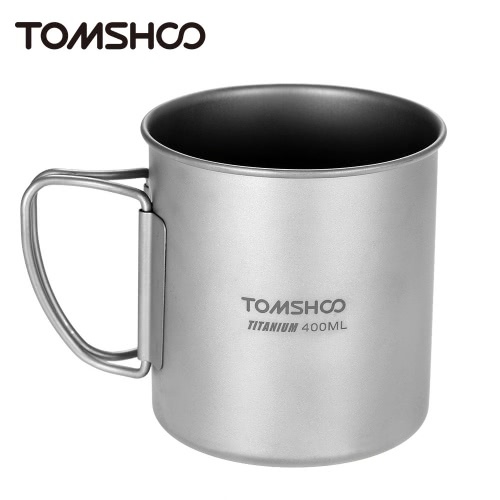 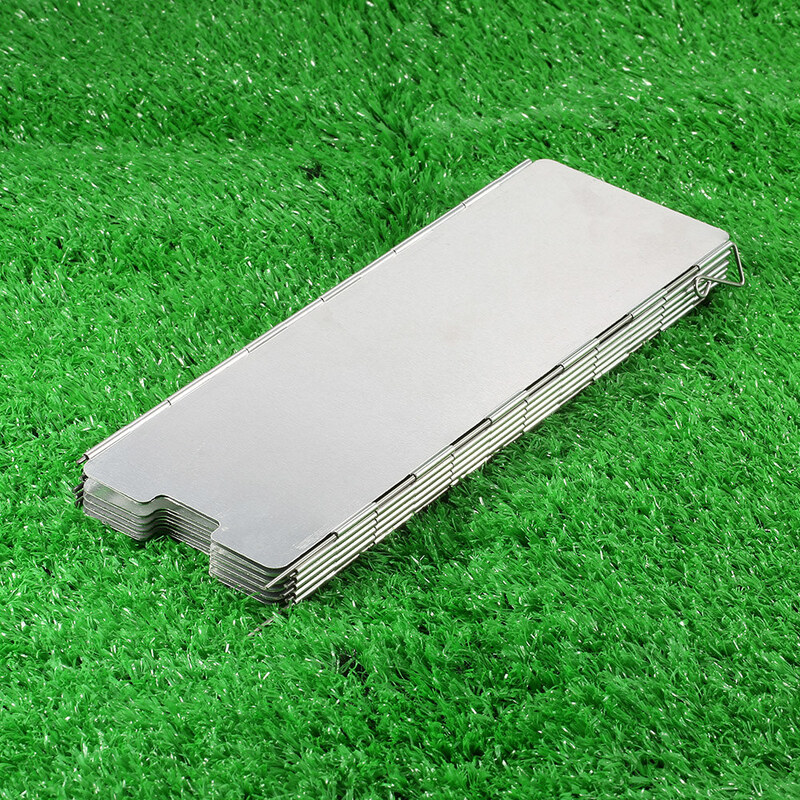 Aluminum alloy material with matt finish, durable and excellent abrasive resistance. 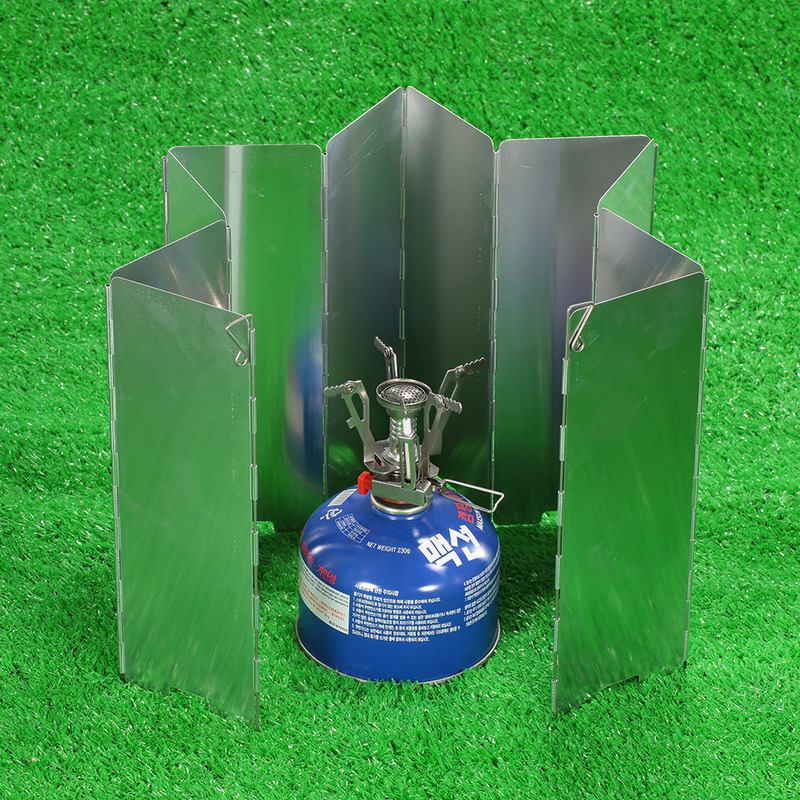 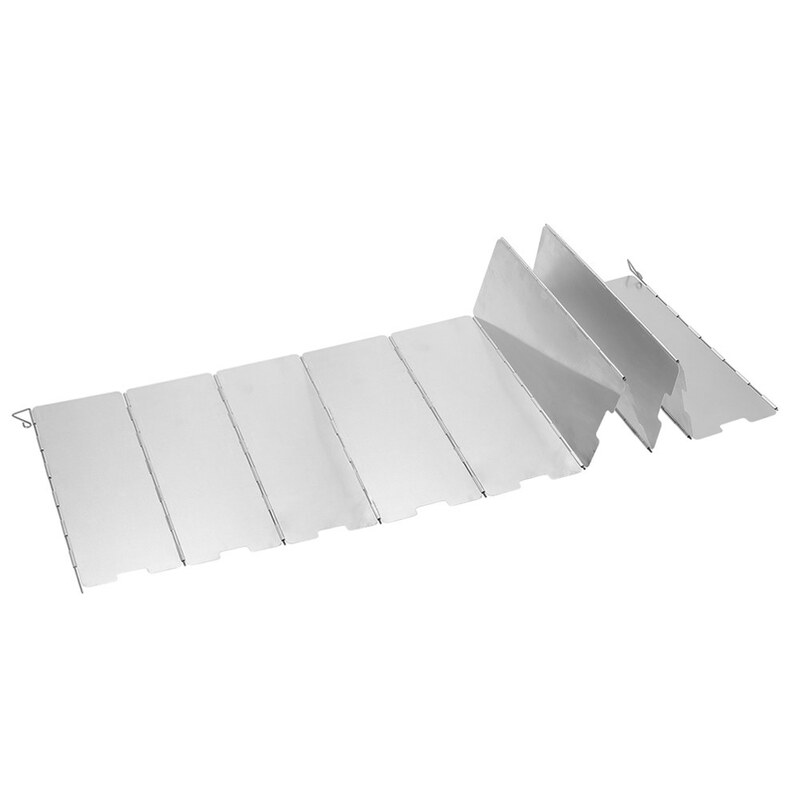 Built in pegs can secure it into ground, wind screen and good thermal performance, greatly helps save fuel and time. 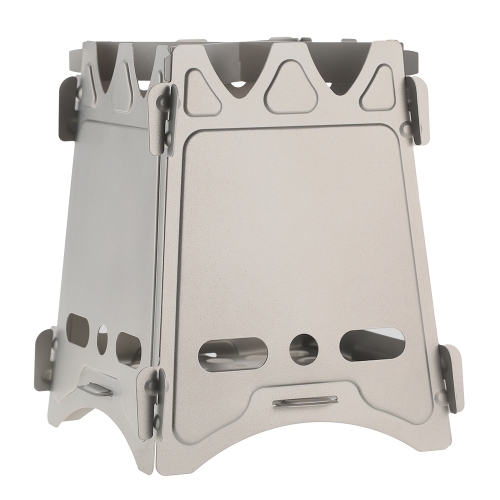 Light weight and foldable design, the folding plates can be removed and recombined by bolts for different occasions. 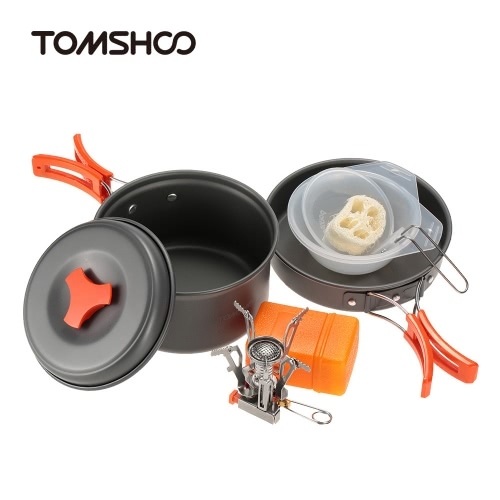 Comes with drawstring bag for convenient storage. 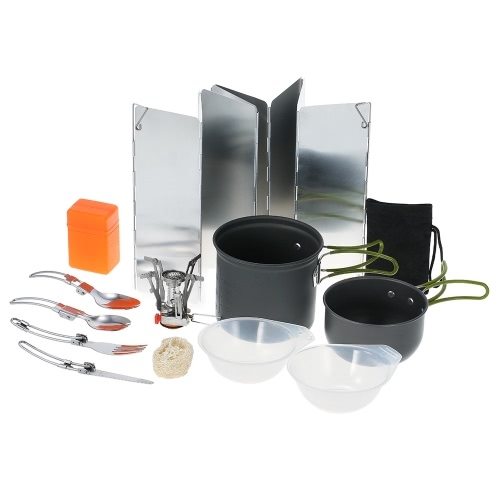 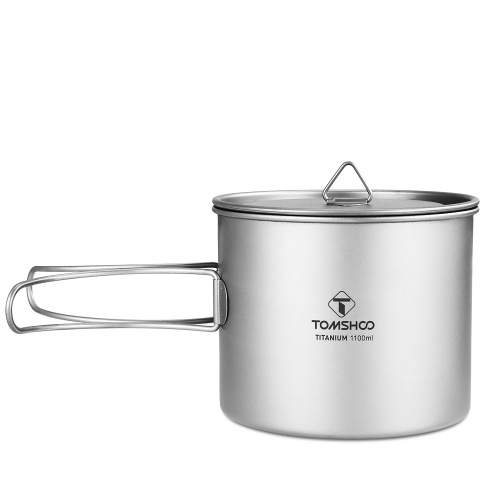 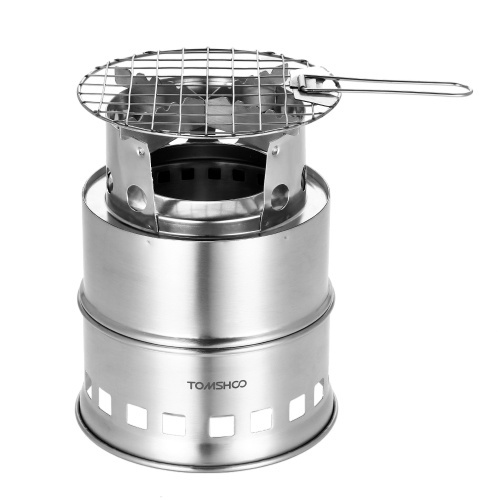 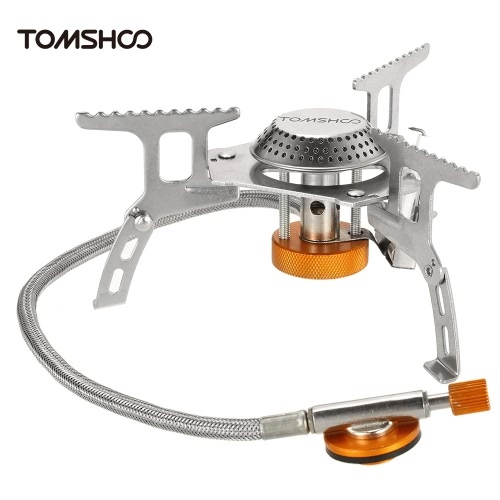 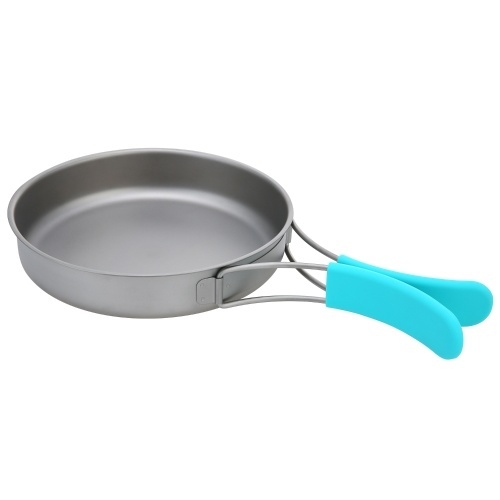 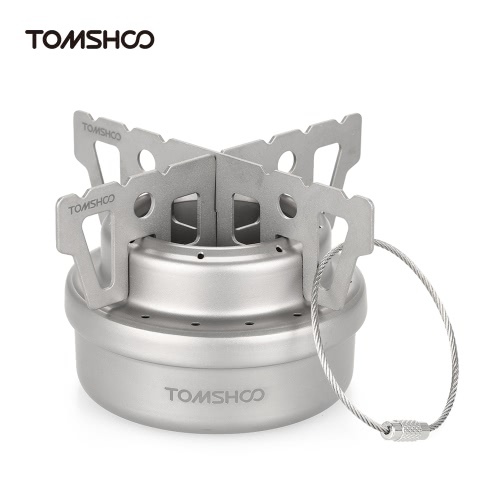 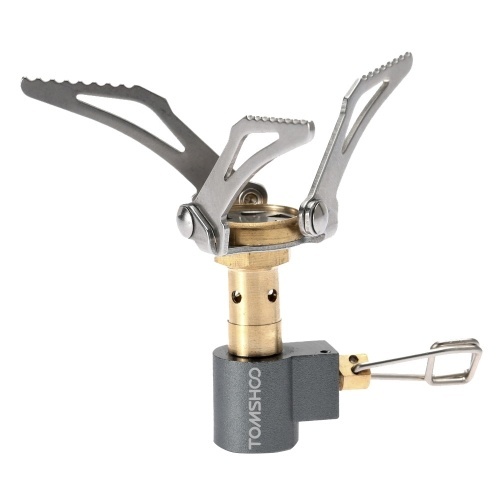 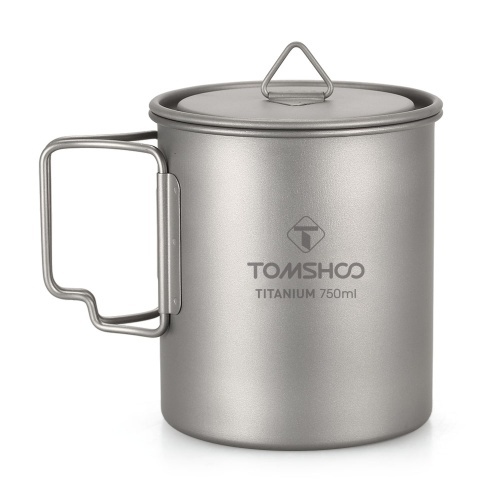 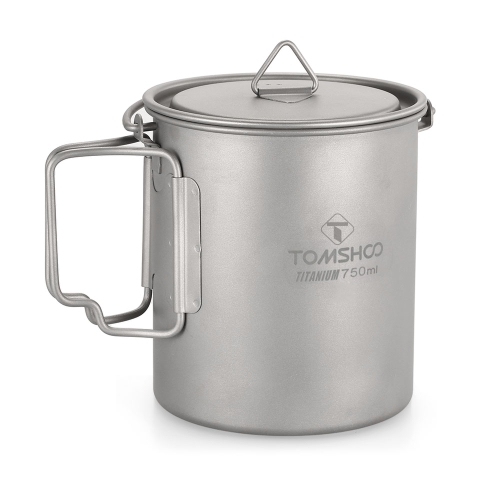 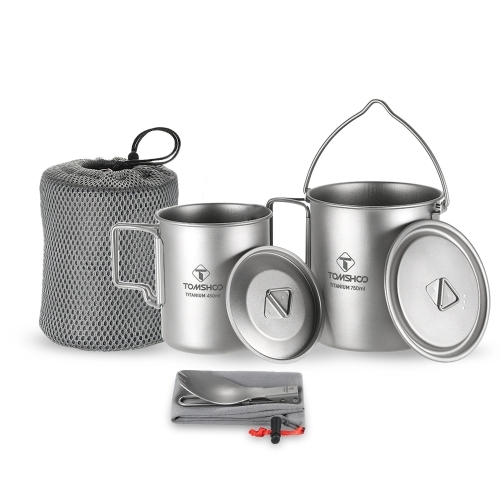 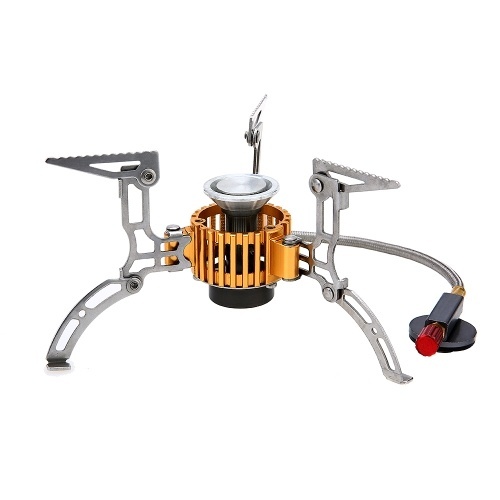 Great for outdoor camping, picnic cooking and outdoor activities.